Ah, the sights and sounds of a fireworks display. Big, bold streaks and swashes of color…breath-takingly beautiful, dazzling, and eye-catching. Believe it or not, this type of dynamic show does exit within the plant world, in the form of Pinus thunbergii ‘Shirome Janome’. 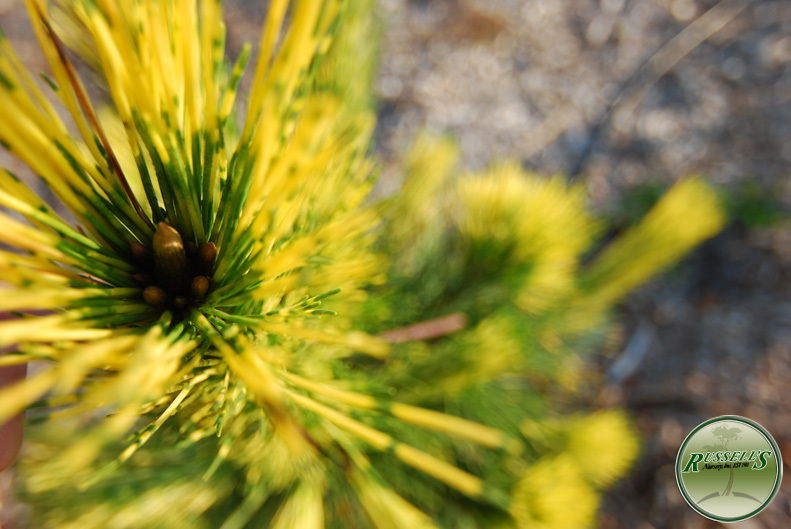 The golden yellow banding on some of the needles, earn ‘Shirome Janome’ membership in the “Dragon’s Eye Pine” club. If viewed from the bud at the end of the limbs, the banding is said to resemble a “dragon’s eye” in all the pines of this group. This strong-growing Japanese Black Pine has irregular, pyramidal, upright form. It can grow from 12”-18” per year, and reach 12’-15’ in ten years. ‘Shirome Janome’ should do very well in zones 5-8, making it appropriate for a variety of settings throughout the country. This glowing, illuminating celebration of color will be an exciting addition to any medium or large sized garden.